There is always going to be pressure and expectation placed on the first pick in the NBA Draft. This has always been the case and it is not a new phenomenon. 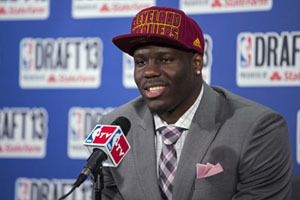 However, with the increased media focus and the larger amount of money available in the game, you can see why people are expecting an awful lot from Anthony Bennett, the number one pick in the 2013 NBA Draft. There is pressure for every player entering the league but when you have the eyes of the world on your back and a couple of firsts placed on your shoulders, it could be a tough year. Bennett was the first pick this year but he was also the first ever number one choice to hail from Canada. He was also the first number one pick to be picked as a freshman from UNLV. All of which means there is going to be an awful lot of people looking for Bennett to have an immediate and telling impact. So, no pressure on you there kid! Bennett only played 35 games for UNLV last season with a shoulder injury limiting his court time. He underwent surgery in the off-season for his injury, another factor in the surprise that followed his selection as the number one pick this summer. The Cleveland Cavaliers obviously something that appealed in the versatile player and he follows in the footsteps of Larry Johnson. Johnson was the first pick in the 1991 NBA Draft and is another alumnus from UNLV. Will versatility help or hinder Bennett? The fact that Bennett can play as a 3 or a 4 means that people will be looking for him to make an impact on these positions. Sometimes in sport, especially basketball, versatility can be a curse instead of a blessing. It is always great that a player can adapt to a number of different positions, being ready to play wherever he is asked to. However, a player that develops a reputation as a utility player as opposed to owning a position tends to be fade in comparison to the star players that make their position their own. If Bennett is going to be a versatile player this campaign, he needs to positively impact on both positions. At heights of 6’7” with a great deal of mobility, the building blocks are in place for Bennett to shine but he will need to adapt his game to his opponent and of course, the increased pace, power and pressure of the NBA. While Bennett may not quite have the strength to go toe to toe with the defenders he expects to face over the course of the season, this opens up the opportunity for him to use his pace. The different attributes that Bennett has in his locker give him a real chance of making an impact on this league but there is a need for him to be reactive to what he is up against. He certainly has the pace and stamina to trouble opponents on the break and you should look out for Bennett making a number of baseline to baseline runs throughout the season. Bennett was questioned in August what his hopes are for the season and his first thought was in getting the Cavaliers to the playoffs. This is important and even though he wants to make a mark as a player, if he can play a role in helping the team to have a successful season, his overall performances will be looked upon favourably. However, one of the best ways that Bennett can help the Cavaliers to have a great season is to play well as often as he can. This is why he is setting himself the target of being named Rookie of the Year. It’s a tall order, especially for a player that will have a lot of expectations on him but if you are going to aim for a prize, you may as well aim big. 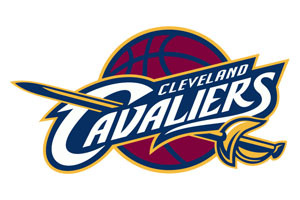 There is going to be a lot of interesting stories and vignettes played out in the 2013-14 NBA season but it will be worth keeping an eye out for the progress of Anthony Bennett and the Cleveland Cavaliers.